This Session introduces Action Planning and shares important next steps for the Poverty Summit and each Action Team. Teams then break into their groups to finish discussing root cause, drafting project charter statements, and power mapping. Action Teams have been utilizing Clear Vision core concepts, practices, and exercises as they discuss issues and work toward creating an action plan. Each team is working at its own pace as they discuss and evaluate. POWER MAPPING and ONE-TO-ONE MEETINGS will continue to be used, and useful, as the team begins to draft and implement their Action Plan. Teams members should also schedule One-to-One meetings with others on their team. As Teams begin to meet outside of Poverty Summit Sessions, it is important to include a PUBLIC EVALUATION at the end of each meeting. This quick evaluation can focus on: What went well? What didn’t? What did I learn? What can we do differently? The Personal Evaluation provides a valuable perspective for the team and it is important that everyone participates. The Action Plan is a written description of step-by-step strategies for implementing specific and measurable project tasks. See more detail on the process for creating an Action Plan HERE. And review a SAMPLE ACTION PLAN. Teams need to confirm their co-chairs and set a regular meeting schedule and location. Coaches will continue to work with co-chairs and team members until early May. It will be important for all teams to recruit additional members. New team members can add resources, connections, and enthusiasm; as well as fill gaps if/when existing team members may no longer be able to participate. 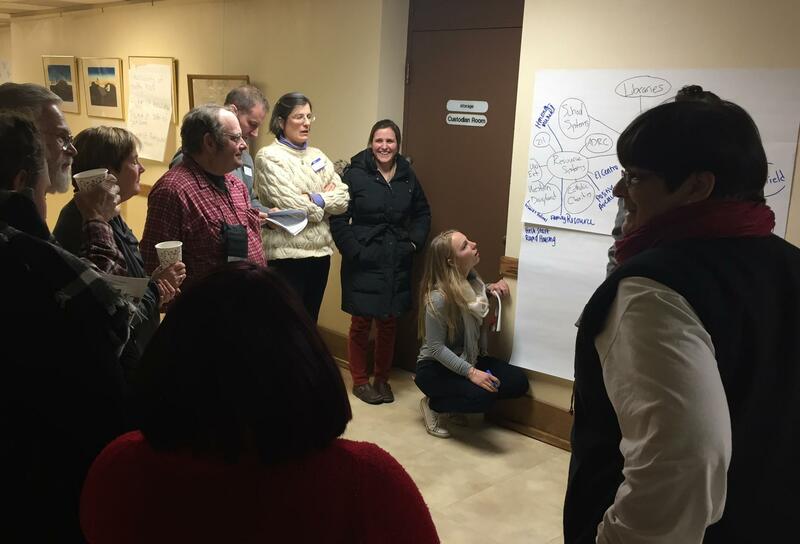 The Summit includes 7 initial work sessions designed to bring citizens together to share perspectives and experiences related to poverty in Eau Claire County, to form and train Action Teams, and to support those teams as they implement their action plans. 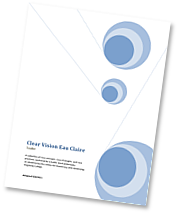 Clear Vision suggested adding an 8th work session in early April. Adding a final session would provide extra planning time and team discussion on March 9, and then devote April to team presentations and celebration. Participants agreed. Clear Vision will also provide ongoing support to all Action Teams through a Resource Committee, a Coordinating Committee, and initial seed/support funding. COORDINATING COMMITTEE: will facilitate ongoing communication between Action Teams and with the general public, support the work of Action Teams, and manage funding requests from Action Teams. Committee membership will include a representative from each Action Team plus representatives from Clear Vision and Poverty Summit organizers. Committee chair and contact information is to be determined. FUNDING: the Poverty Summit budget includes funds to help Action Teams with seed and/or support monies. Funds will be requested through the Coordinating Committee. The Resource Committee may be able to assist with suggestions if a team is looking for significant funding or is interested in grant writing to support their action plan. The Access to Resources Action Team works on Power Mapping one of their priority issues. Teams used the remaining time to work on ROOT CAUSE, PROJECT CHARTER STATEMENT, and POWER MAPPING their priority issues. Each Action Team ended their discussion with their Public Evaluation and then came back together for final reminders and announcements.